It’s time to get drenched as well soaked in the puddles of colourful water. It’s time to splash your loved ones with color filled balloons. 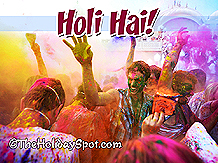 But make sure your celebration is not only confined to splashing of colors and throwing of color balloons. So get drenched in this festivity yet in different style. 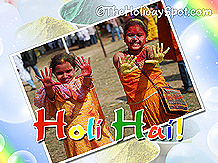 Download these colourful and musical Holi themed screensavers and spread the mood of festivity. Moreover you can extend your wishes to your loved ones by forwarding them these musical and colourful screensavers to your near and dear ones. So what are you waiting for? Wish everyone on this colorful festive day. 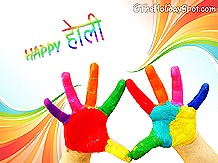 Have a colorful Holi! 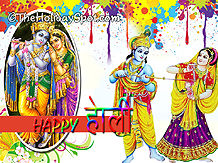 Celebrate Holi on your cell phone with free greeting cards.